Oatmeal is an extraordinary way to start the day. It’s packed with nutrients and has been shown to lower cholesterol levels and stabilize blood sugar levels. Some studies have even demonstrated its role in preventing colon cancer. It will also keep you satisfied all morning helping you avoid those unhealthy snacks calling your name from the vending machine or pantry. I have been known to “prescribe” oatmeal to many patients with elevated LDL cholesterol levels and a few months later we have seen the fantastic results. Adding fruit, nuts and other nutritious ingredients like flax seed takes this breakfast food to an even higher superfood level. And what's awesome here is you can make this recipe ahead of time so all you have to do in the morning is heat it in the microwave for a power breakfast. 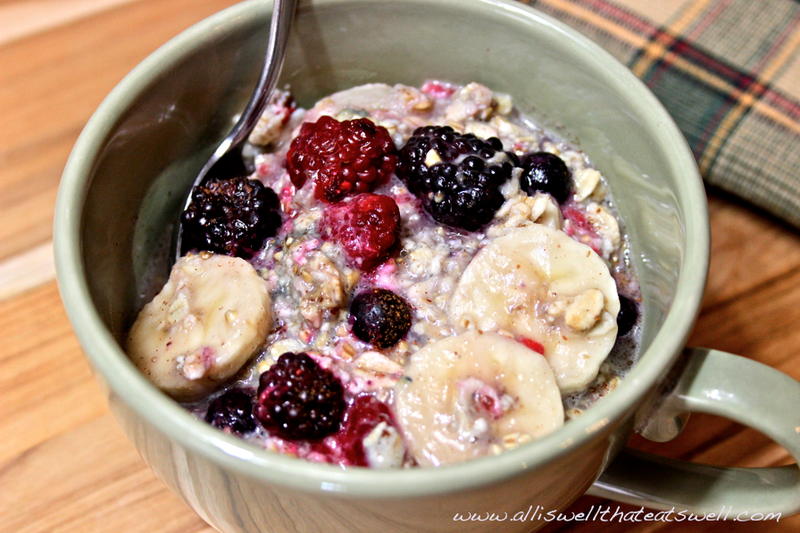 Stay tuned for my recipe with a cold spin on oatmeal I am sure you’ll love. There’s really no better, more energizing and satisfying way to start the day than with a bowl of this good stuff. 1. Preheat oven to 400 degrees and lightly grease an 8 inch square baking dish. 2. Place sliced bananas and berries into baking dish. In a separate bowl, combine both oats, brown sugar, baking powder, cinnamon, flax seed, walnut pieces and salt and pour over fruit in baking dish. 3. In another bowl, whisk together wet ingredients (almond milk, egg whites and butter) and pour over fruit/oat mixture making sure well distributed. 4. Place into oven for about 20-25 minutes and enjoy!